In addition to providing our campers with days filled with activities, sports and games, Hampton Country Day Camp also imparts lessons in positive values to our campers. 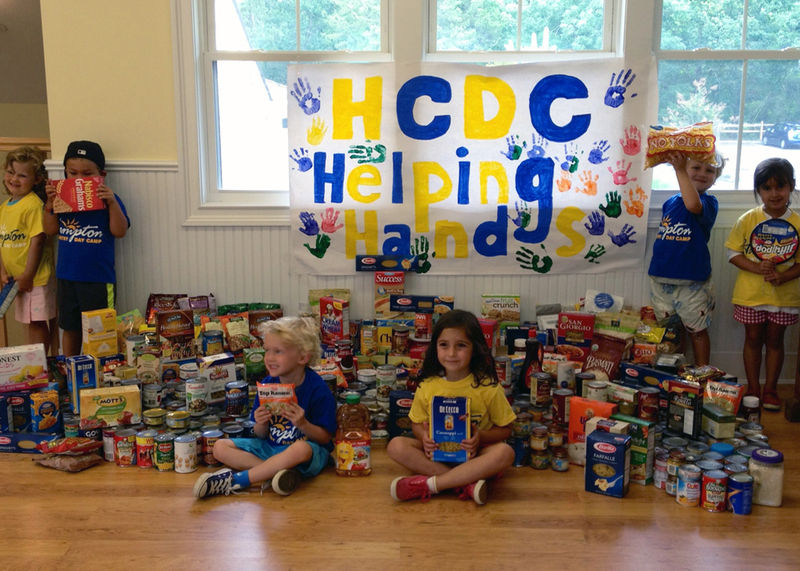 Directors Doris Rosen and Dave Skolnik have implemented a “Helping Hands” program at HCDC where our campers bring in canned and packaged foods from home for distribution to the East Hampton Food Pantry. In turn, the food pantry distributes the food to needy families in the East End area. The East Hampton Food Pantry Program feeds over 1,000 children each month and we are so glad that our campers know that their efforts are going to a very worthy cause. Our next “Helping Hands” project at Camp will be “Morry’s Swim-a-thon” which will be on July 30th – Here, our campers will give it their all by either swimming or walking laps in our pools to raise money for inner city children who would otherwise not be able to attend summer camp. We keep track of what our campers accomplish and send home a record of the number of laps our campers swam (or walked for our non-swimmers). The funds raised will truly make a difference in the lives of hundreds of children who desperately want to experience what summer camp is all about. Teaching our campers about being charitable is also about teaching empathy. They are very proud about their giving and we are very proud of them too! A special thank you to all of our Hampton Country Day Camp families who entrust us with their children each day. Together, we know we are all making a difference through Helping Hands!